Sumitomo Mitsui Trust Holdings is the latest investor to publicly endorse the Access to Medicine Index, becoming the 68th signatory to the Index investor statement. The Tokyo-based company manages assets of USD 497 billion. As one of Japan's largest asset management groups, Sumitomo Mitsui Trust Holdings signs the Access to Medicine Index investor statement at a time when Japanese investors are increasing their overseas investments, as well as their activity in sustainable investing. The Foundation has noted a recent uptick in interest from Japanese investors in its research into access to medicine and drug-resistant infections. “We support the Access to Medicine Foundation because it uses a rigorous scoring and evaluation process to measure pharmaceutical companies’ actions to improve access to medicine. 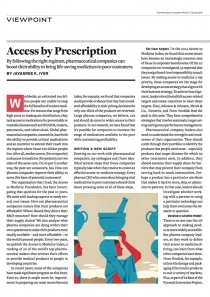 This gives us real insight into how different pharmaceutical companies, including several Japanese companies, manage access-to-medicine risks and where they can seize international opportunities. 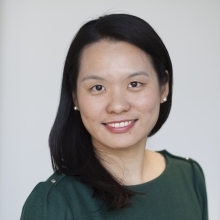 The analysts at the Access to Medicine Foundation allow us to make well-informed decisions for long-term investments and engagement activities.” Seiji Kawazoe, Senior Stewardship Officer, Sumitomo Mitsui Trust Bank. Sustainable investing in Japan has reached at least 35% of investors’ total investment balance, up from 16.8% in 2016. The Japanese Government Pension Investment Fund (GPIF) became a signatory to the UN Principles for Responsible Investment in 2015 and has expanded its interest in Environment, Social and Governance (ESG) investing since then. GPIF is the world’s largest pension fund, with approximately USD 1.5 trillion in assets under management. 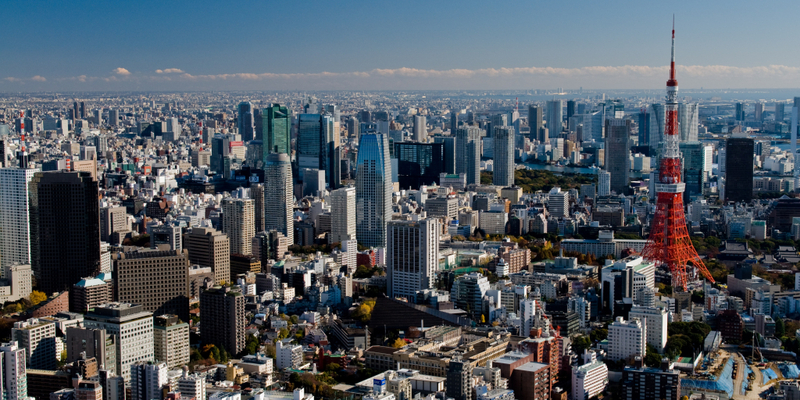 Sumitomo Mitsui Trust Holdings, based in Tokyo, is one of Japan’s largest asset management groups and now the first Japanese investor to sign the Access to Medicine Index investor statement. 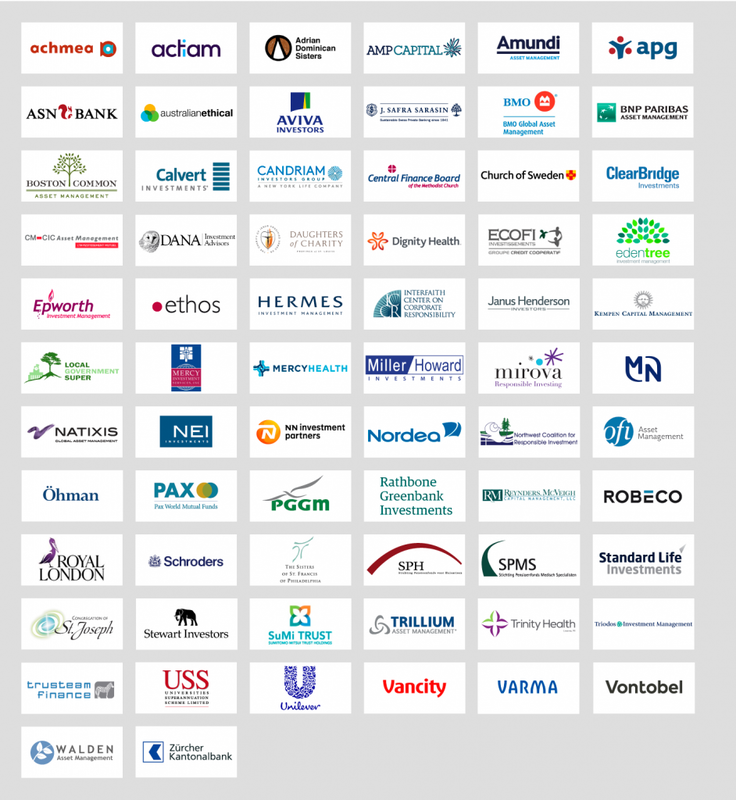 In total, 68 investors have now signed the Access to Medicine Index investor statement. This group collectively manages assets worth more than USD 9.4 trillion. As signatories, they use the Index in their investment research to compare how pharmaceutical companies manage risks and seize opportunities in emerging markets. They also use the Index to inform their dialogue with companies on important topics such as R&D, pricing and ethical behaviour. The Foundation regularly supports its signatory investors with deeper insight into the Index research as well as into ongoing developments in the pharmaceutical sector and access to medicine.